A liner is commonly used as either a silt pit or as a flow control pit. The purpose of a silt pit is to capture any silt or solids present in stormwater before it passes into a drainage system. A flow control pit only allows a small constant flow of stormwater to be released into a drainage system at a time. 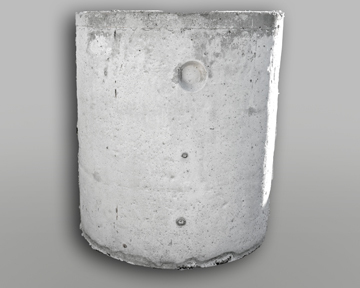 Made with concrete that has been tested to ensure product quality by licensed testers, this product satisfies Australian Standard 1012. All liners have been reinforced using 4 mm steel mesh cages in accordance with AS/NZ 4671, and are made by hand in Western Australia.